You might not know who Peter is because he’s not very visible on Debian mailing lists. He’s very active however and in particular on IRC. He was an admin of the OFTC IRC network at the time Debian switched from Freenode to OFTC. Nowadays he’s a member of the Debian System Administration team who runs all the debian.org servers. If you went to a Debconf you probably met him since he’s always looking for new signatures of his GPG key. He owns the best connected key in the PGP web of trust. He also wrote caff a popular GPG key signing tool. Peter: I’m Peter Palfrader, also known as weasel. I’m in my early 30s, born and raised in Innsbruck, Austria and am now living and working in Salzburg, Austria. In my copious free time, other than help running Debian’s servers I also help maintaining the Tor project‘s infrastructure. Away from the computer I enjoy reading fiction (mostly English language Science Fiction and Fantasy), playing board games and going to the movies. Weather permitting, I also occasionally do some cycling. During that year I started getting involved in the German language Debian channel on IRCnet which got me in contact with some DDs. 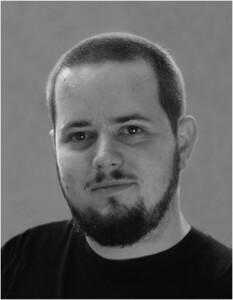 Christian Kurz (<shorty>) was working on Debian QA at the time and he asked my help in writing a couple of scripts. Some of that work, debcheck, still produces parts of the qa.d.o website, tho the relevance of that nowadays is probably negligible. While trying to learn more Perl earlier, I had written a program to produce syntax highlighted HTML for code snippets in various languages. I didn’t really know what I was doing but it kinda worked, and probably still does since I still get mail from users every now and then. I figured that it would be really nice if people could just get my software together with Debian. According to code2html‘s Debian changelog the initial release of the package was done on a weekday at 2:30 in the morning early in 2000, and if my memory serves me correctly, shorty uploaded it shortly afterwards. I started packaging a couple of other piece of software and in the same year I sent my mail to the debian account managers to register my intent to become a DD. No new developers where being accepted at that time since the DAMs wanted to overhaul the entire process so I wasn’t surprised to not get any immediate reply. Of course what the silence also meant was that the mail had been lost, but I only learned of that later when I took all my courage to ask DAM about the status of application a couple months later. Once that was sorted out I was assigned an AM, did the usual dance, and got my account late in November 2000. Raphael: Four years ago, the Debian System Administration team was a real bottleneck for the project and personal conflicts made it almost impossible to find solutions. You were eager to help and at some point you got dropped as a new member in that team. Can you share your story and how you managed the transition in the difficult climate at that time? Peter: Ah, that was quite the surprise for an awful lot of people, me included. Branden Robinson, who was our DPL for the 2005-2006 term, tried to get some new blood added to DSA who were at the time quite divided. He briefly talked to me on IRC some time in summer 2005, telling me I had come “recommended for a role on the sysadmin team”. In the course of these 15 minutes he outlined some of the issues he thought a new member of DSA would face and asked me if I thought I could help. My reply was cautiously positive, saying that I didn’t want to step on anybody’s toes but maybe I could be of some assistance. And that was the first and last of it, until some fine November day two years later I got an email from Phil Hands saying “I’ve just added you to the “adm” group, and added you to the debian-admin@d.o alias.” and “welcome on board“. *blink* What!? My teammates at the time were James Troup (elmo), Phil Hands (fil), Martin ‘Joey’ Schulze and Ryan Murray (neuro). The old team, while apparently not on good terms with one another, was however still around to do heavy lifting when required. I still remember when on my first or second day on the team two disks failed in the raid5 of ftp-master.debian.org aka ries. Neuro did the reinstall once new disks had arrived at Brown University. I’m sure I’d have been way out of my league had this job fallen to me. Fortunately my teammates were all willing and able to help me find whatever pieces of information existed that might help me learn how debian.org does its stuff. Unfortunately a lot of it only existed in various heads, or when lucky, in one of the huge mbox archives of the debian-admin alias or list. Anyway, soon I was able to get my hands dirty with upgrading from sarge to etch, which had been released about half a year earlier. Raphael: I know the DSA team has accomplished a lot over the last few years. Can you share some interesting figures? Peter: Indeed we have accomplished a lot. In my opinion the most important of these accomplishment is that we’re actually once again a team nowadays. A team where people talk to one another and where nobody should be a SPoF. Since this year’s debconf we are six people in the admin team: Tollef Fog Heen (Mithrandir) and Faidon Liambotis (paravoid) joined the existing members: Luca Filipozzi, Stephen Gran, Martin Zobel-Helas, and myself. Growing a core team, especially one where membership comes with uid0 on all machines, is not easy and that’s why I’m very glad we managed to actually do this step. I also think the infrastructure and our workflows have matured well over the last four years. We now have essential monitoring as a matter of course: Nagios not only checks whether all daemons that should be running are in fact running, but it also monitors hardware health of disks, fans, etc. where possible. We are alerted of outstanding security updates that need to be installed and of changes made to our systems that weren’t then explicitly acked by one of us. We have set up a centralized configuration system, puppet, for some of our configuration that is the same, or at least similar, on all our machines. Most, if not all, pieces of software, scripts and helpers that we use on debian.org infrastructure is in publicly accessible git repositories. We have good communication with other teams in Debian that need our support, like the ftp folks or the buildd people. As for figures, I don’t think there’s anything spectacular. As of the time of our BoF at this year’s DebConf, we take care of approximately 135 systems, about 100 of them being real iron, the other virtual machines (KVM). They are hosted at over 30 different locations, tho we are trying to cut down on that number, but that’s a long and difficult process. We don’t really collect a lot of other figures like web hits on www.debian.org or downloads from the ftp archive. The web team might do the former and the latter is pretty much impossible due to the distributed nature of our mirrors, as you well know. Raphael: The DSA team has a policy of eating its own dog food, i.e. you’re trying to rely only on what’s available in Debian. How does that work out and what are the remaining gaps? Peter: Mostly Debian, the OS, just meets our needs. Sure, the update frequency is a bit high, we probably wouldn’t mind a longer release cycle. But on the other hand most software is recent enough. And when it’s not, that’s easy to fix with backports. If they aren’t on backports.debian.org already, we’ll just put them there (or ask somebody else to prepare a backport for us) and so everybody else benefits from that work too. Some things we need just don’t, and probably won’t, exist in Debian. These are mainly proprietary hardware health checks like HP’s tools for their servers, or various vendors’ programs to query their raid controller. HP actually makes packages for their stuff which is very nice, but other things we just put into /usr/local, or if we really need it on a number of machines, package ourselves. The push to cripple our installers and kernels by removing firmware was quite annoying, since it made installing from the official media next to impossible in some cases. Support for working around these limitations has improved with squeeze so that’s probably ok now. One of the other problems is that especially on embedded platforms most of the buildd work happens on some variation of development boards, usually due to increased memory and hard disk requirements than the intended market audience. This often implies that the kernel shipped with Debian won’t be usable on our own debian.org machines. This makes keeping up with security and other kernel fixes way more error prone and time intensive. We keep annoying the right people in Debian to add kernel flavors that actually boot on our machines, and things are getting better, so maybe in the future this will no longer be a problem. Raphael: If you could spend all your time on Debian, what would you work on? Peter: One of the things that I think is a bit annoying for admins that maintain machines all over the globe is mirror selection. I shouldn’t have to care where my packages come from, apt-get should just fetch them from a mirror, any mirror, that is close by, fast and recent. I don’t need to know which one it was. We have deployed geodns for security.debian.org a while ago, and it seems to work quite well for the coarse granularity we desired for that setup, but geodns is an ugly hack (I think it is a layer violation), it might not scale to hundreds or thousands of mirrors, and it doesn’t play well with DNSSEC. What I’d really like to see is Debian support apt’s mirror method that — I think (and I apologize if I’m wronging somebody) — Michael Vogt implemented recently. The basic idea is that you simply add deb mirror://mirror.debian.org/ or something like that to your sources.list, and apt goes and asks that server for a list of mirrors it should use right now. The client code exists, but I don’t know how well tested it is. What is missing is the server part. One that gives clients a mirror, or list of mirrors, that are close to them, current, and carry their architecture. It’s probably not a huge amount of work, but at the same time it’s also not entirely trivial. If I had more time on my hands this is something that I’d try to do. Hopefully somebody will pick it up. Peter: It’s fun, mostly. Sure, there are things that need to be done regularly that are boring or become so after a while, but as a sysadmin you tend to do things once or twice and then seek to automate it. DSA’s users, i.e. DDs, constantly want to play with new services or approaches to make Debian better and often they need our support or help in their endeavors. So that’s a constant flow of interesting challenges. Another reason is that Debian is simply where some of my friends are. Working on Debian with them is interacting with friends. I not only use Debian at debian.org. I use it at work, I use it on my own machines, on the servers of the Tor project. When I was with OFTC Debian is what we put on our machines. Being a part of Debian is one way to ensure what Debian releases is actually usable to me, professionally and with other projects. Peter: That’s a hard one. There are certainly people who I respect greatly for their technical or other contributions to Debian, but I don’t want to single anybody out in particular. I think we all, everyone who ever contributed to Debian with code, support or a bug report, can be very proud of what we are producing — one of the best operating systems out there. Thank you to Peter for the time spent answering my questions. I hope you enjoyed reading his answers as I did. Subscribe to my newsletter to get my monthly summary of the Debian/Ubuntu news and to not miss further interviews. You can also follow along on Identi.ca, Twitter and Facebook. Why wouldn’t a Linux distribution project wish to showcase the distribution by hosting its infrastructure using its own system? I completely share the underlying assumption. 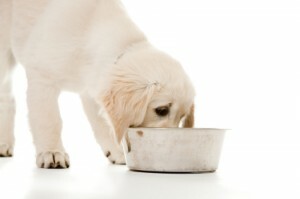 Eating its own dog food is very important if you want to build a Linux distribution and claim with some confidence that it’s of quality and usable. Debian does quite well nowadays in that respect. There were times where the mailing list server was using Qmail (non-free at that time, and thus not part of Debian) but that’s long gone. We have also seen our build infrastructure relying on software that was not public and not packaged in Debian, but that also is history. The Debian System Administration team (DSA) maintains more than 140 servers running Debian. They mostly run the stable version of Debian but a few test machines are already running Squeeze since a few months (qa.debian.org for example). 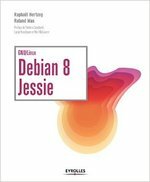 The Debian admins want to ensure that the next stable release of Debian still has everything they need and that the software they use still work as expected. Big kudos to the DSA team for this choice! I hope we’ll be able to continue to live up to those standards for a long time to come. PS: If you want to learn more about the setup that the DSA team uses, head to dsa.debian.org. You’ll find all their repositories and some of their internal documentation. I don’t buy everything he says, but in the case of DSA, the part where he says “you cannot have a functional and respectable subgroup if it maintains autonomy like that” is a real problem. The leadership problem I mentioned is real. And it can theoretically be solved by undelegating one of the problematic side of this DSA-internal dispute. But which one? Given the unwillingness of Joey to discuss the problems, he makes an easy target… which would leave DSA up to Ryan, James and Phil. But is that a desirable thing? If DSA is perceived as being an “autonomous” group which is not involved in Debian’s main discussions and which is somewhat disconnected from Debian’s day-to-day life, it’s largely due to the behavior of James and Ryan. E-mail communication with them is very difficult as they’ll respond only if they really care about something. And despite the setup of the request tracker, they have barely been able to make proper usage of it… the idea was to use RT tickets to track everything that DSA does but they don’t use it as such. For example, James setup a “wikiadm” group and he never reported anything to the related ticket (#194) (I did it myself once I found out). Also there’s an internal ticket about the replacement of ftp.debian.org (that I created because ftp.d.o ran out of space regularly) and AFAIK Jeroen has been in touch with James to setup that replacement, but nothing got reported to the tracker. Ryan promised me once to put his DSA TODO list in the tracker so that other people can jump in and help out. He never did. So while Joey is definitely a pain for DSA, at least he’s a visible participant of the team and he interacts with the community. James and Ryan are not, they interact only through private channels and do not share their opinions or their vision of Debian. I believe this is a real problem. On the other hand, most of the interesting changes in the last months are the results of James’s work. But he’s also implicitly blocking addition of new members as long as the leadership problem is not solved. I tried to fill the communication void of the DSA team by various means. I follow everything as closely as I can so that I can report changes on other channels, mailing lists when needed. I made efforts to document stuff on the wiki page, etc. But this is not a long term solution, the communication issue must be fixed within the team. The path ouf of this mess is still not very clear, but something is going to change soon. Not quite sure what though. What would you suggest? And if you were DPL, what would you do?